Diabetes is a chronic disease of the pancreas that affects the way our bodies use and regulate blood sugar – either the pancreas doesn’t produce enough insulin to regulate blood sugar or the body can’t effectively use the insulin it has produced. When the body can’t utilize the sugar in our blood as an energy source, the sugar levels build up. Over time, high blood sugar levels can seriously compromise every major organ system in the body, potentially causing heart attacks, strokes, kidney or liver failure, blindness, nerve damage, and infections. With many treatment options available in developed countries, it may not seem like diabetes is a big deal. 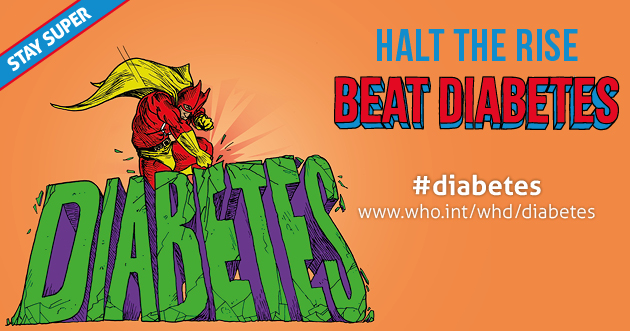 However, according to the World Health Organization, in 2012 diabetes was the direct cause of 1.5 million deaths. What is perhaps most telling, is that 80% of those deaths occurred in low- and middle-income countries. Countries with large numbers of people that often lack access to good sanitation and/or clean water, or who only recently have attained access. Now I’m sure you’re wondering what in the world plumbing has to do with diabetes – and maybe we’re reaching just a tad here, but we continue to assert wholeheartedly that plumbing has a direct effect on everyone’s health…and an indirect effect on pretty much everything else. It is no secret that children who live in places with poor sanitation and limited access to clean water have stunted growth, poor nutrition, and suffer from more than their share of communicable diseases (often related to exposure to raw sewage or bad hygiene). What maybe isn’t so obvious, is that the damage these childhood traumas inflict is far-reaching and can potentially affect these children throughout their lives, even after they’ve been treated for disease or provided with a means of proper sanitation and clean water. Without the opportunity to build a strong, healthy body complete with a flourishing and nourishing gut microbiome in childhood, you can’t expect their adult bodies to be able to effectively handle the combination of higher calorie diets and reduced physical activity that are accompanying the increasing urbanization of low- and middle-income countries. In short, the very act of building urban living conditions where people now have better access to sanitation systems, clean water, etc. can be a risk factor and MUST be accompanied by education – and not only the type of education you would expect, like the principles of good hygiene and disease prevention, but also of a broader spectrum of health issues like the importance of a healthy diet and regular physical activity. As the old saying goes, an ounce of prevention is worth a pound of cure, and this couldn’t be more true than when talking about diabetes in these developing countries. Proper sanitation, clean water, a healthy diet, and physical activity will cure almost anything that ails you, and are key in preventing diabetes, obesity, heart disease, infections, and a number of other health issues. With limited access to medical treatments and pharmaceuticals to manage these types of diseases, it is increasingly important that people in these low- and middle-income countries are provided with every means possible of prevention – from the creation and maintenance of sanitation infrastructure that can help to prevent malnutrition and disease in children to education about the dangers of unhealthy diets and overnutrition in adulthood.